Matt Carlton received his J.D. from Emory University in 1999. He has spent his entire career working in the courts of Georgia. Matt began his practice of the law as a clerk for the Honorable Robert E. McDuff in the State Court of Cobb County where he learned firsthand the inner workings of the court. After his clerkship Matt practiced with Weinstock & Scavo in Atlanta, Georgia. 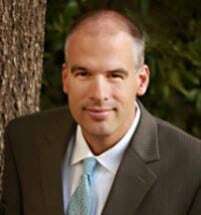 At Weinstock & Scavo Matt was the firm's leading authority in both criminal defense and DUI law. Mr. Carlton also handled many cases in the areas of personal injury, premises liability, real estate litigation, and civil rights litigation. Matt's published opinions in the Georgia appellate courts include Piccadilly Place Condominium Association v. Frantz, 284 Ga. App. 747, 644 S.E.2d 281 (2007) and Interfinancial Midtown Inc. v. Choate Construction Co., 278 Ga. 103, 597 S.E.2d 354 (2004). The goal of Carlton Law LLC is to provide results-oriented legal representation in a caring and personal environment. Matt understands that many of his clients are dealing with difficult legal situations or serious criminal charges for the first time. He is here to guide his clients step-by-step through the legal process. Matt is an active member in the Georgia Bar, Dekalb Bar Association, and the Atlanta Bar Association. He is admitted to the State Bar of Georgia, the State Bar of Maine, the Georgia Court of Appeals, the Georgia Supreme Court, the Northern District of Georgia, the Middle District of Georgia, and the 11th Circuit Court of Appeals. Matt lives with his family in Decatur, Georgia where he is a leader in his community. He serves on the board of the Decatur Education Foundation, is an active member of the Decatur Business Association, volunteers his time to mentor Emory Law students, coaches youth soccer, was president of his neighborhood civic association, and is founder of the Decatur Football Club.